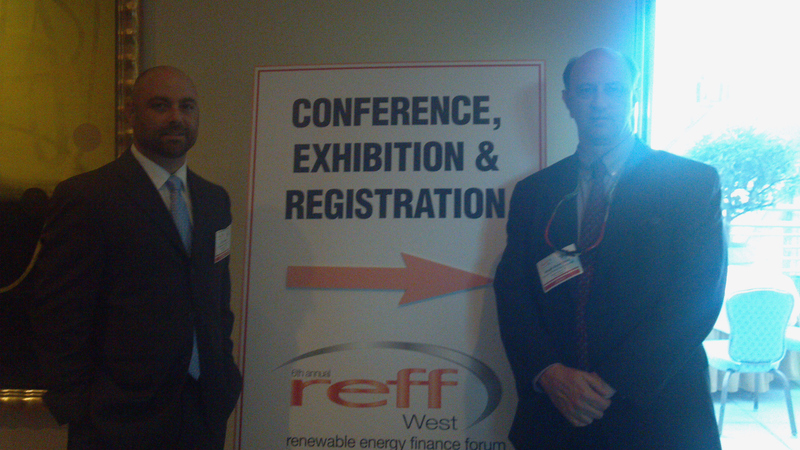 September 15-17th, Keystone participated in the West Renewable Energy Finance Forum in San Francisco. REFF West covered a range of renewable and clean energy technologies, with a particular focus on developments in the Western US, topics covered at REFF-West included project financing, venture capital, renewable power generation, emerging commercial technologies, financing smaller projects, equity financing, and established technologies. Keystone General Contracting & Technologies has obtained the rights for the sale of clean energy from the Sheep Mountain Solar Farm under construction in Nevada. Jay Listerman (left) and J. Bryan Read.